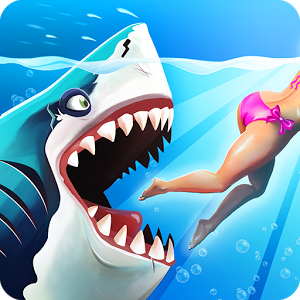 FGOL boasts over 285 million downloads for the number one shark arcade series on mobile, guaranteeing you the best simulated aquatic feed frenzy out there! 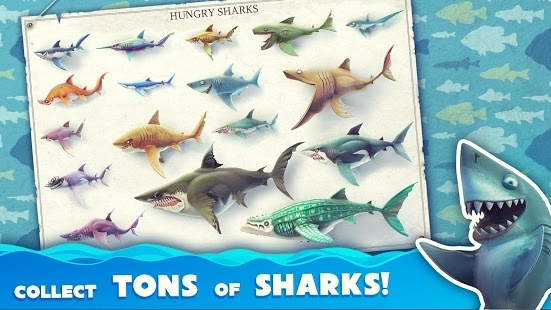 17 shark species in 7 different size tiers to collect. 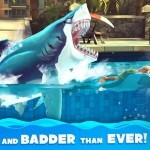 Play as sharks spanning the nimble Hammerhead shark, up to the iconic Great White Shark! 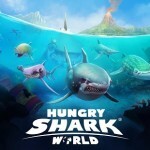 Rise through the ranks of the food chain and level up your jawsome pal to bite harder, swim faster and grow HUNGRY…er! 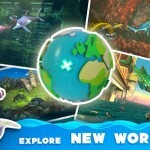 3 beautiful, huge free-roaming worlds to explore: Pacific Island, a lush, sun-drenched tourist hot spot. 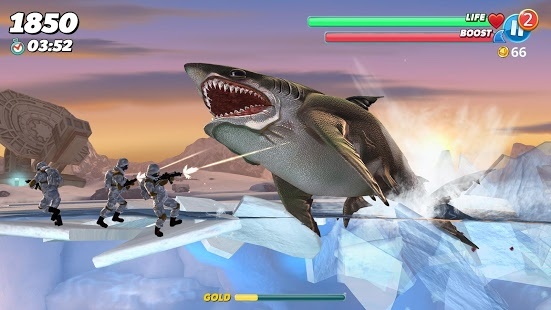 Arctic Ocean, a frozen wasteland, home to a secret military base and heavily guarded testing facility. And the Arabian Sea, a rich and vibrant, if not, industrial landscape. 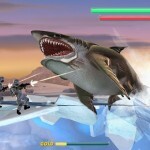 20 different mission types to master including high scores, specific prey hunts and survival! 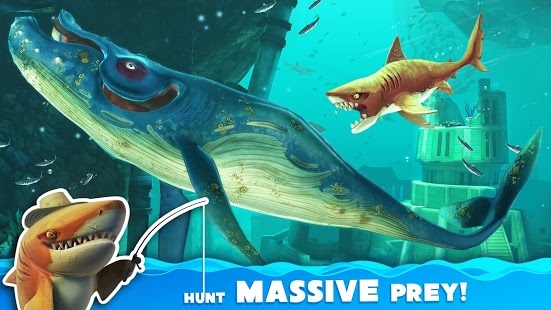 100’s of enemies and prey to consume: whales, submarines and locals, BEWARE! 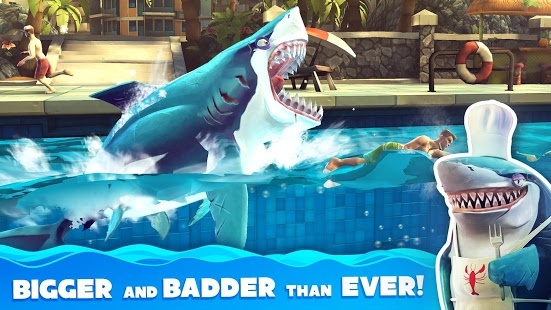 Equip your sharks with stylish Accessories and special Gadgets; no shark is complete without headphones, umbrella and a freakin’ laser beam! 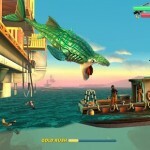 Unlock a variety of Pets to boost your predatory powers. 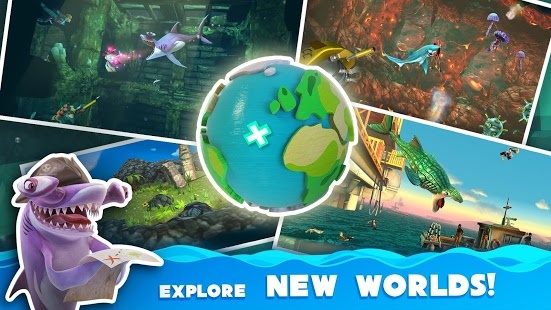 baby sharks, octopus and even a feisty turtle are all happy to help in your adventure. 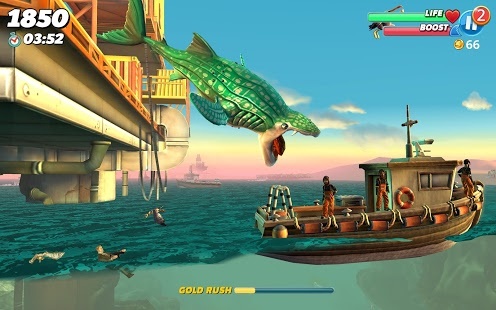 Combo bonuses, Gold rush and MEGA GOLD RUSH to boost your hi-scores. 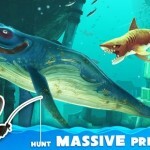 Find all Hungry Letters to trigger the insane Super Size PowerUp! Google Play Leaderboards and Achievements enabled. Use Facebook to synchronise your progress across devices. 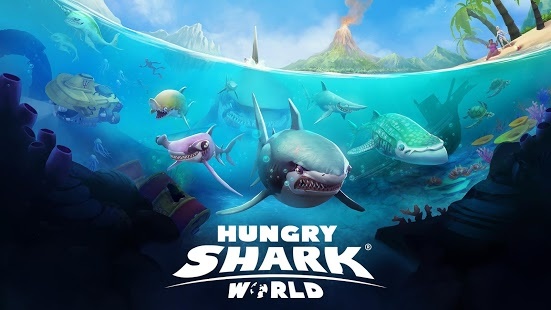 Hungry Shark World is available in English, French, Italian, German, Spanish, Brazilian-Portuguese, Turkish, Russian, Korean, Japanese. 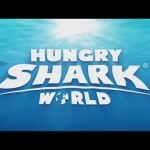 Now the world can experience HUNGRY SHARK WORLD! New Pets to join your entourage, including Turtle and Octopus! 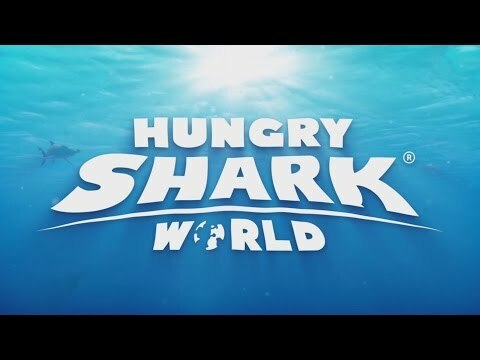 Sharks with lasers are back with the new LASER GADGET! 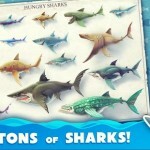 New accessories to customise your shark with!